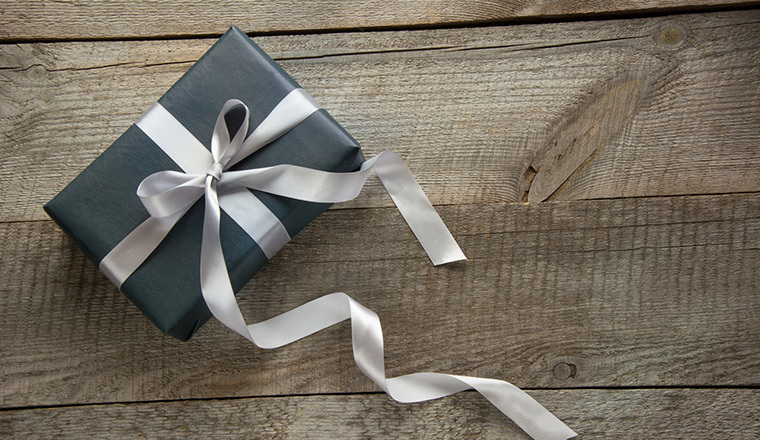 There’s more to a great incentive programme than pretty packaging. Here, Andrea Born reveals how to build an effective scheme that’s suitable for all members of staff. The focus for staff working in call centres is the speed at which they answer calls and how quickly they are able to solve a customer’s issue. Call times and wait times are the ways in which a centre calculates its efficiency and its profits, and it is therefore critical that call centre personnel are able to work under pressure while offering up a high level of professionalism and accuracy. Working in such an environment can be exciting, but it’s also hard going. It is hardly surprising, then, that personnel need to be well incentivised. But how can this be done effectively? And what exactly constitutes a strong incentive scheme – something that appeals to the entire demographic of the call centre? Many companies spend huge amounts of time and money trying to understand what methods they can employ to encourage staff to work hard and to meet high targets. They also recognise that as skilled call centre personnel become more expensive to recruit, so the need to incentivise them increases. There’s no doubt that incentive programmes can have a dramatic effect on performance and on staff morale, but there are a number of key areas to consider when putting together a scheme for call centre personnel. Proper planning is essential in deciding what an incentive scheme should achieve. Decide who the scheme is aimed at, and how you run it. Profile the target audience in terms of age, gender, marital status and hobbies. Incentive scheme participants will need to know what they have to do and should be kept updated on their progress. Communication is key in order to convey all aspects of the scheme. Invest in materials such as posters and newsletters, and launch the scheme with panache. Involve senior personnel; they’ll be important in driving the scheme forward. Theme the incentive scheme to make it fun. The reward budget should be 65% to 80% of the total budget. Provide a tangible reward rather than simply giving cash. Hold regular informal meetings with staff to maintain feedback. Measure performance via sales and revenue reports, and via customer service feedback forms. And finally – publicise good news stories at presentations or conferences. Everyone likes a public pat on the back. scheme is aimed at and whether a structure exists to run and measure the scheme and to communicate its key messages. Remember that participants of the scheme will want answers to questions such as: What do I have to do? How do I do it? How am I getting on? and What’s in it for me? Good dialogue is critical in conveying every detail and avoiding misunderstandings. Use some of the budget to invest in communication materials such as posters or newsletters, and launch the programme with as much razzamatazz as possible. Involve senior personnel as they will be instrumental in driving forward the scheme and in establishing whether the project is workable from an operational point of view. Bear in mind that an incentive programme should be aligned to a company’s business plan in terms of possible improvements in customer service, increased efficiency and so on. If the scheme is spread across the company, consider how departments will inter-relate and how communication will be organised with personnel working in disparate parts of the organisation. A further important consideration is to profile the target audience. It is only by knowing more about them that a decision can be made on the route to be taken, so companies should consider the age, gender, marital status and hobbies of all employees being considered for the scheme. While you might think an all-expenses trip to New York would be an excellent incentive for most people to work towards, the reality is that someone’s hobbies might preclude them from taking holidays. In addition, there are activities that may be more attractive to men, and personnel with children may have specific family-related interests. Finally, as a basic guide, the reward element should be between 65% and 80% of the total budget and should relate to participants’ basic earnings. A great deal of research has been conducted by psychologists on the issue of motivation and recognition, with the best known being Maslow’s Hierarchy of Needs in which he argues that ‘esteem’ is one of the needs we all have, and that we all seek attention and recognition from others for a job ‘well done’. With this in mind, ensure that good news stories about customer satisfaction achievements are publicised at presentations or at conferences. Everyone loves a public pat on the back but, more importantly, such recognition helps maintain the scheme’s momentum and participants’ enthusiasm. Offering an incentive that will suit everyone is virtually impossible, however evidence does exist to indicate that non-monetary incentives are more welcome than a cash equivalent because providing a tangible reward will be a lasting reminder of a job well done. Again, this is where profiling the target audience is so important in that it ensures the reward is suitable and relevant. Unsurprisingly, vouchers are used in a great number of incentive schemes, and there’s now a very wide range available. If you do decide to use vouchers to incentivise personnel, think carefully about what you buy. ‘Experience’ vouchers are popular, enabling recipients to drive a Chieftain tank or even fly in a MiG fighter jet. Whitewater rafting, skydiving and bungee jumping are also attractive, but mainly with younger people, and these activities would not suit everyone. There are alternatives, of course. Retail vouchers are popular because they have so much versatility. People can spend them on whatever they wish. But if it’s the ‘wow’ factor you’re going for with something big like a holiday voucher, do make sure you can afford to provide sufficient funds to make the mini-break or holiday worthwhile. If your staff have to start using their own money to ‘top up’ the offering, they could end up resenting the incentive programme rather than aiming to win it. As a last note, do make sure you measure performance via sales and revenue reports and via customer service feedback forms. If possible, adapt existing reporting tools and establish a cut-off date for each performance period. Break the year up in to quarters and report in that way. It’s also a good idea to offer interim awards for those who reach quarterly targets, and give a major award at the year end for best overall performance. Ultimately, call centre incentive programmes can show very real results. They help personnel feel included and part of a team, but they can also help maintain a high level of morale among call centre personnel. In a world as stressful and churn-ridden as call centres, such an attribute can be positive indeed.